Having spent 12 months road tripping across Australia I can attest to the fact that the varied landscapes of this vast continent are a heaven for those in search of an adventurous escape. From the passenger window of our vintage Winnebago I watched as miles of arid desert, lush tropical rainforests, and mountainous terrain flew past. And over the course of our yearlong adventure, we drove over 25,000km making it the most EPIC of all our road tripping adventures to date. While we travelled as a couple, I often questioned how I would have tackled 12 months in Australia on my own. As a solo female traveller there are a few extra considerations to factor into your itinerary planning, not only those that will offer additional security, but aspects of budgeting and logistics that are easier to manage when travelling as part of a couple or group. I’d say that I’ve a good knowledge of travel in Australia, but today I’m turning to a woman who has spent 10 years travelling solo across the continent. Read on as I chat to Michela Fantinel, author of Your Australia Itinerary, the ultimate guide for female solo travellers. 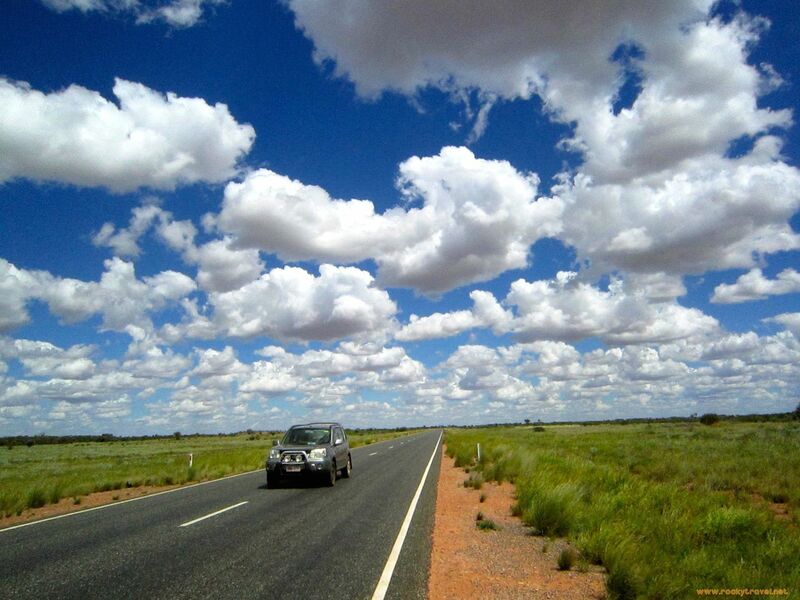 Q: What should travellers be aware of when planning their Australian travel itinerary? The hardest part about creating a good itinerary for travel in Australia is balancing your time frame with the places you want to see and the distances you have to travel. When crafting your itinerary, factor in the time it takes to travel from one location to the next and choose self-driving routes that match your level of experience. Be realistic, and make sure the distances work with your schedule. Q: What’s the first thing you should do when planning a trip to Australia? Set a time frame: And stick to it. Make a list of must-dos and must-sees. Then make sure they’re a good match with the time of year you’re planning to visit. Draw a rough plan: Once you do this, calculate the distances to see if it’s viable. Choose the most cost-effective transportation modes that allow you to maximize your time. Fix a budget: You’ll need this to stay on track. Make 80% of arrangements: But leave 10-20% to be decided upon spontaneously. Give shape to your itinerary. In my book I’ve collated 4 itineraries + 36 customisation options, with the resource pages that offer insight into the best times of year to visit each state, highlight the best activities and locations for your style of travel, and how to make the most of your time in some of the country’s most notable places. 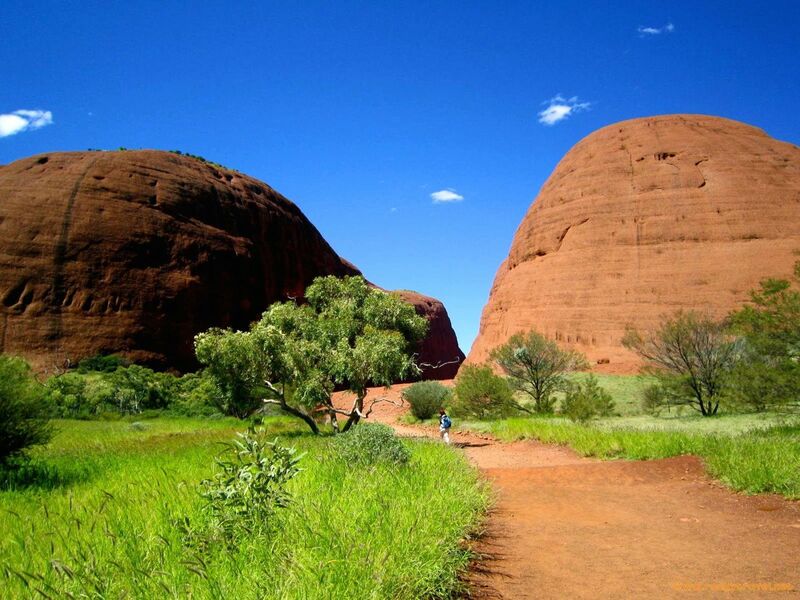 WHAT SHOULD SOLO FEMALE TRAVELLERS IN AUSTRALIA KEEP IN MIND? Q: Are there any considerations that solo female travellers should be particularly aware of? 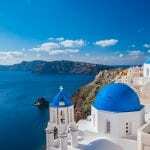 I have been travelling Australia alone for 10 years there aren’t really crucial aspects for female solo travellers, Australia is a safe country for solo travellers. I would suggest planning carefully how to get around, because of its huge distances. If you want to traverse the country from coast to coast you need to to combine different transportation modes to make the most of your money and time. The same for accommodation, you can save money by staying in hostels, or in private homes. House sitting in Australia is also a great way to stay for free in exchange of house and pet sit. Q: How important is it to have a clear idea of what you want to see and do whilst visiting Australia? Unless you have an unlimited budget you can’t afford to make changes to your plan last minute, because this would mean increasing the cost by 100-200%. In Australia, distances are huge; it takes a long time to move from A to B. Cheap flights and internal transportation must be booked in advance to save 30-50% on normal rates. Consider renting a car or campervan and sleeping out in some of Australia’s most inspiring wilderness campsites for a quintessential Aussie experience. Don’t waste time doing extra research when in Australia. You’re there to discover places and experience a new country, not to plan and revise your itinerary. To get the best deals the vast majority of your planning should be completed before leaving for Australia. Q: What are the main factors to consider when choosing experiences for your Australian itinerary? The first should be timing – how much time do you need to see a place? You don’t want to miss out on the big ticket experiences, but you also don’t need to stay too long either. In my book I offer detailed information with advice regarding the optimum amount of time to spend in some of the country’s most iconic locations. Next is transportation. Self-driving vs public transportation or tours – you need to know all options for each route and choose what makes you feel most comfortable with. Self-driving is a more rewarding way to travel around but it’s not for everyone! Finally select your destinations wisely. The greater the distances you have to travel between attractions, the more money you’ll spend on transport, and the less time you’ll have to experience the country. 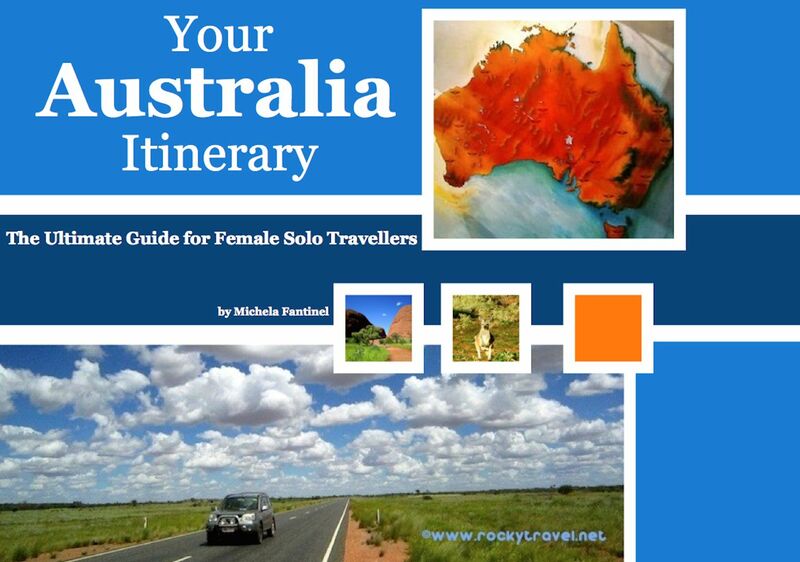 Visit Michela’s informative Australian travel blog RockyTravel.net and download a free chapter of her guide by subscribing to the newsletter for more expert advice on solo female travel in Australia. 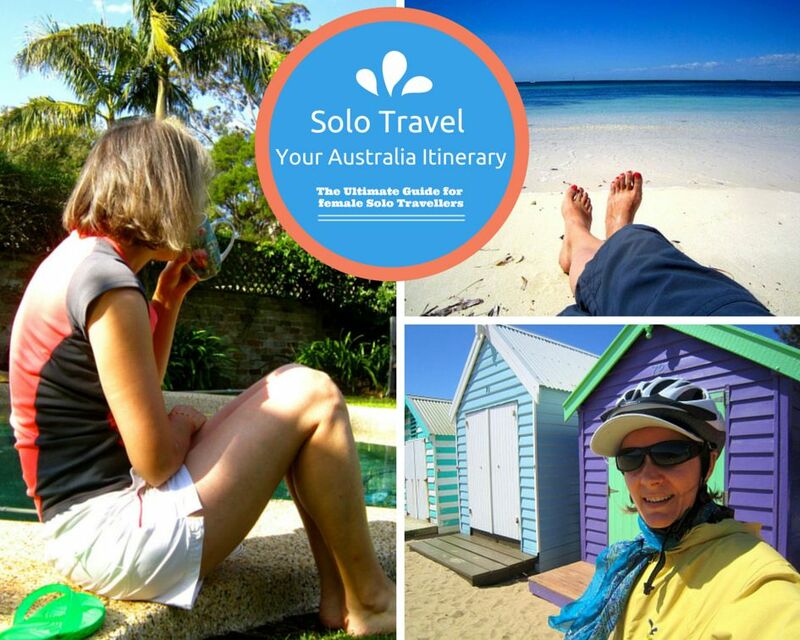 Have you explored Australia solo? Share your experience below! Michela Fantinel is the editor and publisher of the RockyTravel Guide and Rocky Travel Blog. A passionate Solo Traveller and advocate of travel in Australia she relishes sharing her Oz Travel Adventures. So much good tips here for solo female travel! It’s a treasure trove! Even though Im already doing solo travel, there’s much more to learn everyday. ?